Maestro Robert Butts promised the audience at Grace Church in Madison on Sunday that the sub-freezing temperature outside would be forgotten once the music started. He was right. This was the annual January “wassail.” Unfortunately, the traditional mulled wine or cider was absent, but the equally traditional musical celebration of Twelfth Night (approximately) was alive and well, as the Baroque Orchestra of New Jersey and guest artists warmed the spirits of the audience. Things opened with a performance of Christus Natus Est by contemporary English composer Cecilia McDowall, performed by the Grace Church Chorus under the direction of Dr. Anne Matlack and accompanied by the orchestra. Following that, violinist Avery Scott displayed startling virtuosity in a performance of the gigue from J.S. Bach’s Partita. Scott’s virtuosity was particularly startling because he is 15 years old. He is a student of Agnes Kwasniewska, concert master of BONJ. Next on the program was the charming Viola Concerto by Franz Anton Hoffmeister, a contemporary of both Mozart and Beethoven. The viola soloist was Brett Deubner (left), one of his generation’s most widely-praised violists. 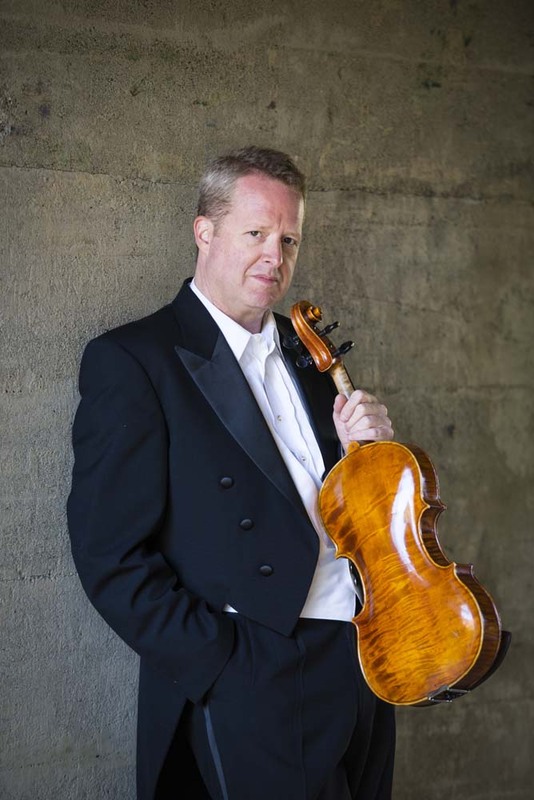 Deubner has performed to critical acclaim with orchestras both in the U.S. and abroad, and is committed to expanding the viola repertoire. The Hoffmeister concerto is a light-hearted piece, full of the charm and balance characteristic of music of the classical period. Everything fits. Everything makes sense. It is interesting that Hoffmeister was highly regarded as a composer in his lifetime but ultimately became better known as a publisher of music. In the latter capacity he played a significant role in lives of other composers of his period. Deubner’s playing was spectacular, fast, precise and on target, conveying great passion. These traits were also vividly displayed in the short but flashy encore he played: “Obsession,” by Maurizio Bignone. This world premiere reflected its title with great intensity. Following an intermission, the program continued with yet another world premiere by a contemporary composer. In an era when contemporary music can mean virtually anything, this piece, Piano Concerto in D Minor by John Ivor Alexander, was a very happy surprise. Harkening back to the Baroque, Alexander’s music, with John Pivarnik at the keyboard, has the crystalline quality of Bach and Vivaldi. The composer, born in Ireland in 1942, raised in Canada and for many years a resident of Spain, came to music late, all the more remarkable for the charm and fluency of his composition. Sadly, an illness prevented him from being at this world premiere of his delightful concerto. The concert concluded with the wonderful Symphony No. 5 by Franz Schubert. Composed when he was 19, it is said by some to have been very much influenced by the young composer’s admiration of Mozart, and most particularly Mozart’s Symphony No. 40. Typical of Schubert, it is melodic and deeply emotional, in the end filled with joy. The music did indeed go far in dispelling the winter gloom. 3 SHOWS IN 3 WEEKS @ THE THEATER PROJECT! DOUBLE FEATURE @ RHINO THEATRE THIS WEEKEND! MRS MANNERLY “POPS UP” IN UNION TWP.